Another basket-case Alfa Romeo so soon? You bet. This one comes from the Alfa Romeo Giulia sedan family, which was manufactured from 1962-1972, available with a 1.3 or 1.6 liter gasoline engine and the desirable TI trim (TI stands for Turismo Internazionale - a reference to Alfa's racing pedigree). Today's feature is a total pile of parts with a limited description from the seller...but...and you know we like big buts around here...the price is fantastic. Find this 1967 Alfa Romeo Giulia Sedan offered for $1,750 CAD ($1399 USD) in Owen Sound, ON, Canada. The 116 series Alfettas were the replacements to Alfa Romeo's long running 105/115 series Berlina and GTV. Alfa built prototype Spiders based on the 116 series platform, but the Spider carried on with the 105/115 series platform until 1992. The Alfetta's use of a de Deion rear suspension and transaxle harked back to the 1950’s Alfetta Grand Prix racers, hence the use of the storied name. They were sold in the US as the Alfetta Sedan and Alfetta GT until 1977, when badges were changed to Sport Sedan and Sprint Veloce, since Americans seemed to think Alfetta meant “little Alfa”. Alfettas don’t get much love from the Alfisti and this ’76 Sedan is no exception. Find this 1976 Alfetta Sedan on Craigslist in Central LA for $2,600. Words and tip from DT reader Gianni. Willys-Overland Motors started production of the CJ (Civilian Jeep) way back in 1944 as a non-military version of their dirt conquering Jeep. Production continued all the way through 1986 when AMC replaced it with the YJ Wrangler. There was a long wheelbase CJ-8 pickup variant that was available with a cool Scrambler graphics package, but Jeep never built a crazy 4-seat long wheel base variety with the footprint of a boxcar. But somebody did. Find this 1984 Jeep CJ Stretched V8 swap here on eBay currently bidding for $7,100 reserve-not-met, located in Cockeysville, MD. Tip to Bardzik. The Plymouth Fury was a premium-level sedan named for The Furies, which hail from Greek mythology, and not Furries, which are something else entirely. The two should not be confused. Between the winged and eyelidded '56-'58 (aka "Christine"), and the low and slow Gran Coupes of the 1970s is the generation represented here. The III designation does not denote a noble bloodline traced to Sir Plymouth Fury the First, but rather an upper trim level for this generation, just short of VIP trim. Factory fresh with 105,000 miles, it's a true black-plate survivor for cheap. Find this 1966 Plymouth Fury III for sale in Simi Valley, CA for $7,300 via craigslist. 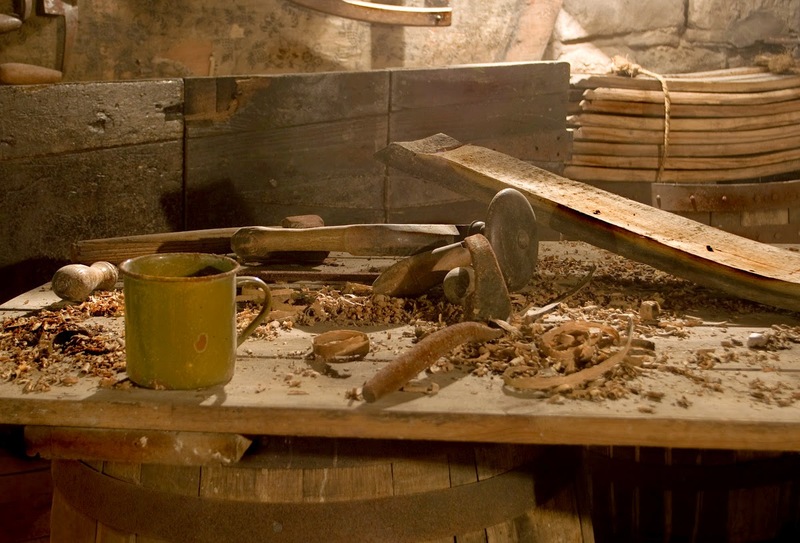 Coffee Brake: What Is Your Favorite Non-Car Hobby? It is no surprise to find that many of the folks who read, write, lurk, and comment on this website are die-hard car fans, but what else can you do? Let's dive into some of the hobbies that aren't associated with mutli-wheeled monstrosities and see where the conversation goes. It is time for a rescue mission. Someone has to save this next car from the hazards of the wild northern plains of Canadia. Potential ruination lurks behind each igloo -- the moose bites, hail damage, snow storms, old people (because of good/cheap healthcare they live till 100+), hockey pucks, and four-way-stop "go-ahead, no you go-ahead" slow motion crashes. Find this 1996 Alfa Romeo Spider Tipo 916 offered for $12,999 CAD (I think this is free in USD or 7.2 cents, not sure) via craigslist located somewhere north of Washington State in a "Province" called British Columbia (yeah, as if that is a really place.) Tip from Gianni. General Motors' top strategy during its mismanagement of Saab was parlaying the company's jet history into a vague aeronautic brand association. It doesn't add up: a logo that features a mythical winged beast (not showing its wings), and a home country with an air force 1.5% the size of America's (according to Global Firepower, a website that feels the way an army surplus store smells). This is especially true for the Viggen, so named for Saab's 37 Viggen "Thunderbolt" fighter jet. But whether it's named after a thunderbolt or a deadbolt, the 9-3 Viggen came with an upgraded engine and suspension and was one of the dearly departed company's most special offerings. Find this 2001 Saab 9-3 Viggen for sale in Yarmouth, ME for $5,000 via craigslist. This next item is the perfect gift for the classic car hunter who wants a trophy for his living room....and unlike a real animal head, it doesn't stink or stare at you while you are eating dinner. 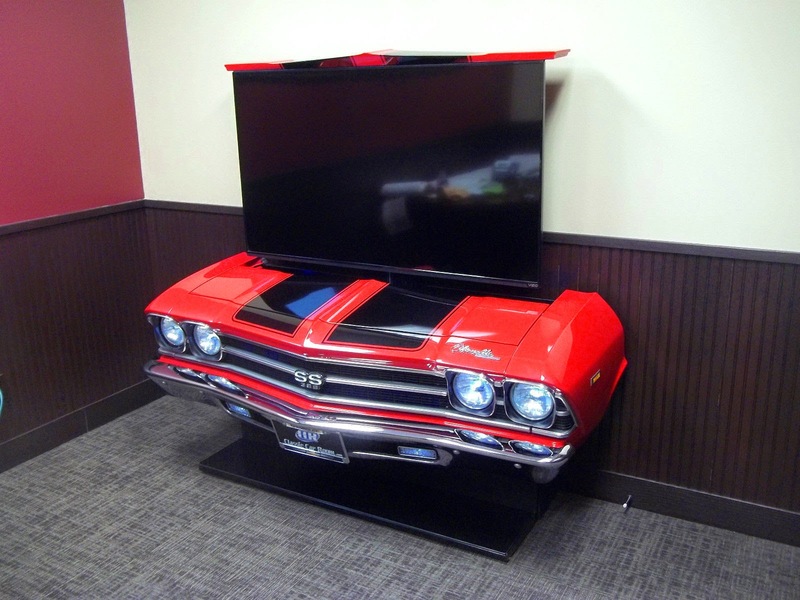 Find this 1969 Chevrolet Chevelle SS TV stand currently bidding for $3,650 here on eBay with 2 days to go, located in Cambridge, MN. Another week, another competition. Last week, you guys broke the internet with a Kim Kardashian rear-end sized list of cars equipped with factory pop-up headlamps. 384 comments later and the commenting images were broken, and then a rowdy group of readers continued the contest on another page. It was chaos, madness, anarchy, and this sort of behavior is...well...rewarded? Today, you are going to list all of the cars that came equipped with factory forward hinged hoods. I will start. Why is it that the cleanest original condition classics are almost always the worst combinations in terms of sportiness? Slushboxes, manual windows, no center console, AM radios, the list goes on. DT's resident crapbox expert CFlo supposes: Maybe it says something about the car, but I think it says more about the type of person who drives less than 2k miles per year and keeps a car in as-new condition for so long...likely a blue-haired old lady who wants/needs an auto. Very true....but that doesn't mean the cars aren't interesting to enthusiasts. 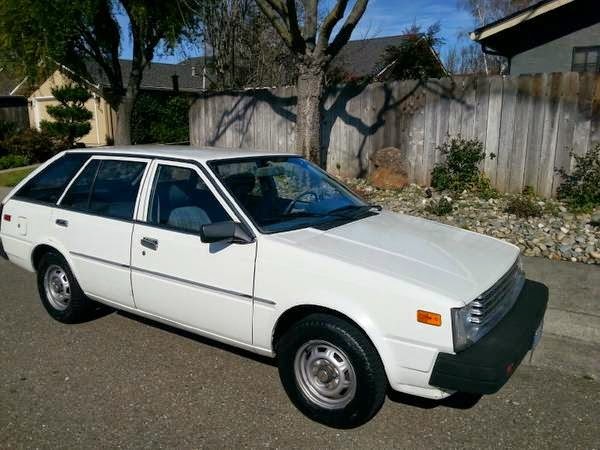 Find this 1982 Nissan Sentra Wagon offered for $3,500 in Stockton, CA via craigslist. Tip from Kaibeezy. In 1961 Volkswagen introduced Der Große Karmann (the Big Karmann) featuring Razor Edge styling on the new Type 3 platform in a package designated Type 34. The stylish coupe was built from 1962-1969 but never imported to the US market. The US continued to get the old Type 14 Ghia, never officially receiving the handsome Type 34 that looks like a cross between a Chevy Corvair and a Lancia Fulvia. A few have made the trip to our shores and will absolutely floor everyone at your local car show, but VW guys will know what they're looking at. 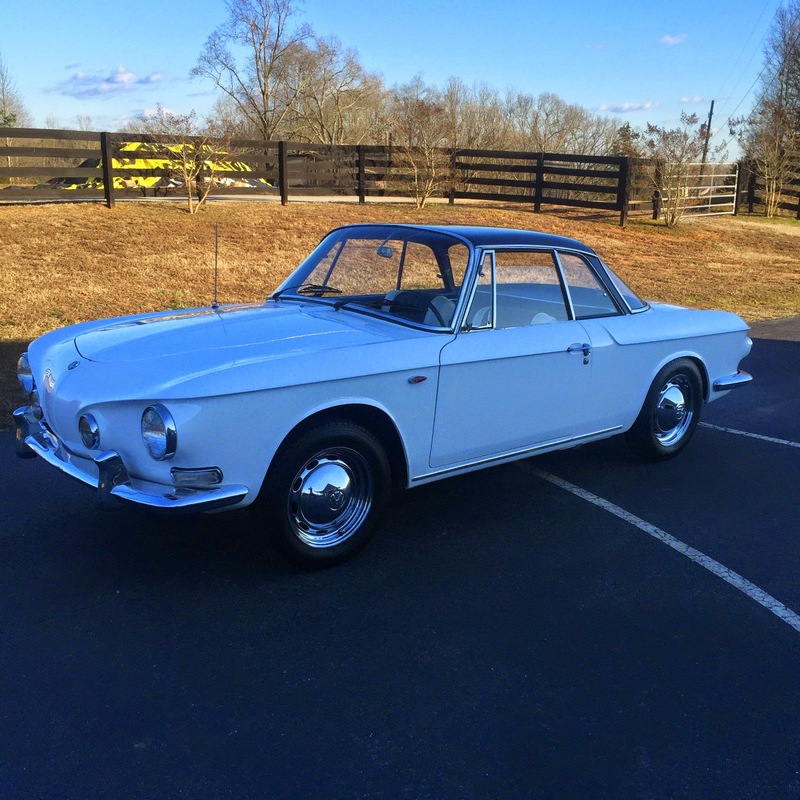 Find this 1964 Volkswagen Karmann Ghia Type 34 here on eBay currently bidding for $16,642 reserve-not-met with 2 days to go, located in Gainesville, GA. Sometimes I think there is something wrong with me. I live in a city, a big concrete jungle. The nearest open space is 50 miles (and 4 hours on a Friday afternoon) due east from my home. Parking vehicles on the street has almost been outlawed in its entirety and forget owning a plot of land with space for big toys. Fun has been all but outlawed in the name of safety in this big mass of huddled people called Southern California....however, whenever I see something like this, I can't help but want to hit that buy-it-now button. Find this 1960s Alvis FV620 Stalwart 6x6 Amphibious here on eBay currently bidding for $5,400 with a few hours to go, located in Santa Clarita, CA. I have a Mini Cooper S convertible that is getting a little small for my kids to be in back. 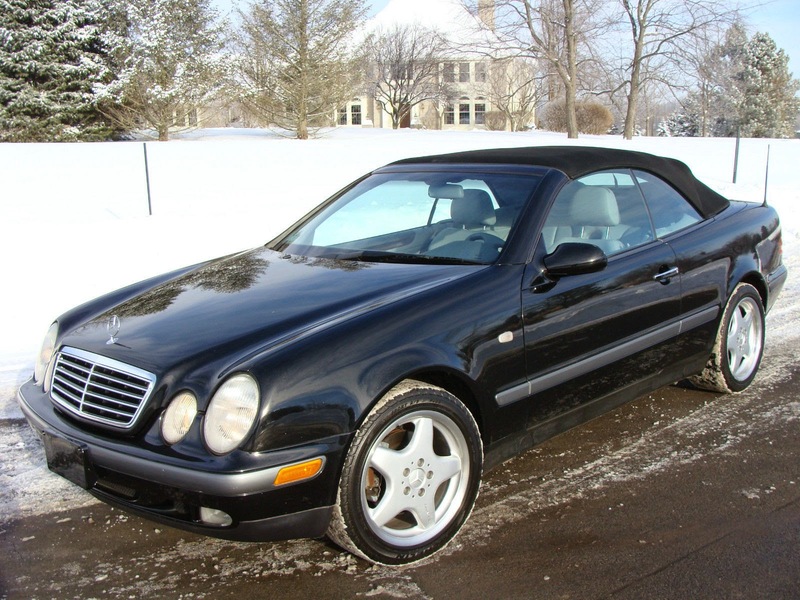 Always thought that a potential option would be to move to a larger depreciated 4-person convertible like the MB CLK or Jaguar XK8. I would lose the manual, but gain some space. There is a variety of CLK flavors (320 with the 6 or the 430 and 500 with the 8). Not sure of reputation of the engines and forecast for future expenses for the different CLK and for the XKS, and I would be interested in the opinions of your readers. The B2 generation Audi Coupe was an attempt by Audi to offer a cheaper version of its race bred Audi Quattro from 1980 to 1988. The Coupe is more subtle in appearance than the Quattro, but it still looks like something special when you compare it to the other German cars on the market in the 1980s. A low mile all-original survivor example is certainly temping, will the meager performance leave you wanting more? 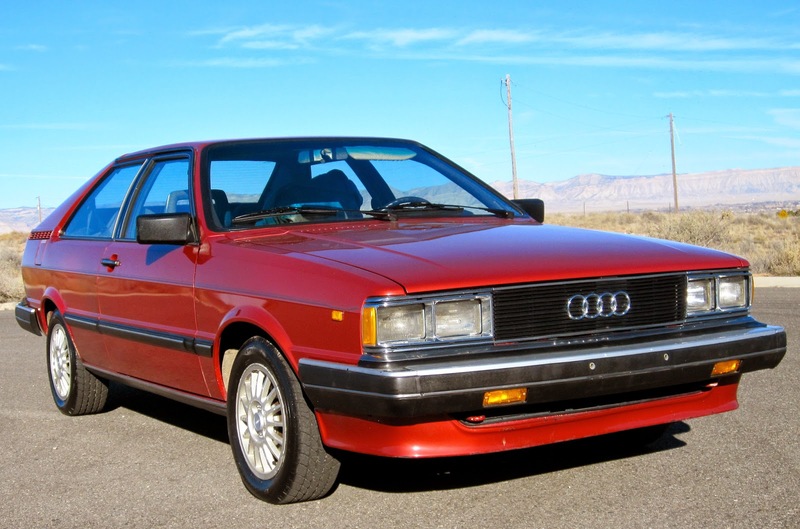 Find out by buying this 1982 Audi Coupe here on eBay currently bidding for $4,750 with 1 day to go located in Grand Junction, CO. I hate to rag on any particular manufacturer or brand (except for Lincoln...what is Ford thinking?!?! ), but one of the 21st century disappointments has to be Mitsubishi. Lets look at their 2015 lineup and match them up with one of the Seven Dwarves from Snow White. Mirage -- Grumpy; Outlander-- Sleepy; Outlander Sport -- Bashful; Lancer -- Sneezy; iMiev -- Dopey; Lancer Evo -- Happy. Where's Doc? How did the product planners miss the most important of all the Dwarves, and they are going to cancel Happy after 2015 with no planned replacement. How can they survive the next decade without making any noteworthy automobiles? This wasn't always the case, and for a while Mitsubishi built some insanely complicated, but notoriously fast machines, like the 3000GT VR-4 -- and guess what? You can buy a used one for cheap. Find this 1993 Mitsubishi 3000GT VR-4 Twin Turbo offered for $10,000 in Amherst, MA via craigslist. Tip from Jdah. Like a hoodie-wearing slacker who aces his finals, the Chevrolet Cobalt SS is a car that constantly exceeds expectations. You wouldn't expect a front drive econobox to be as fast as a Nissan's 350Z Track edition at the track, or that it would wallop everyone else in the under $30k category in Car & Driver's 2008 Lightning Lap at Virginia International Raceway, but that is exactly what the king of the torsion beam rear end can do. 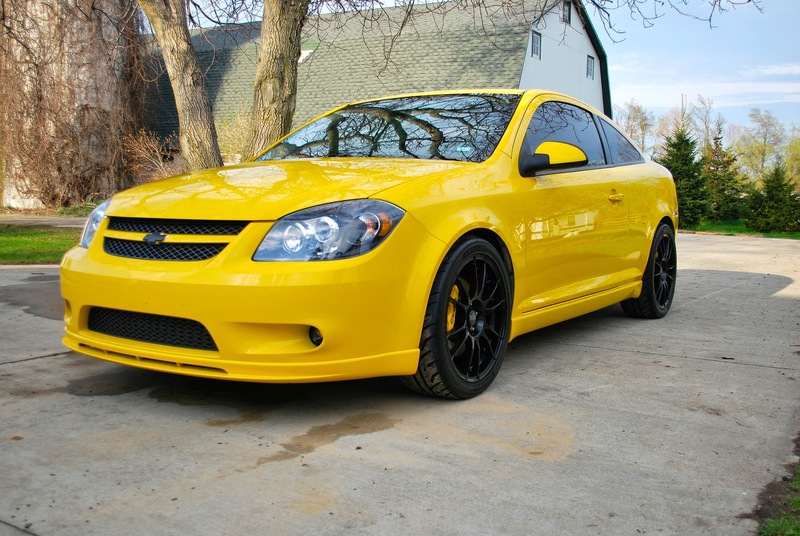 Find this 2009 Cobalt SS offered for $13,500 in Michigan via NASIOC forums. The Z31 generation Z-car was badged as the 300ZX for the US market and sold extremely well from 1983 through 1989. 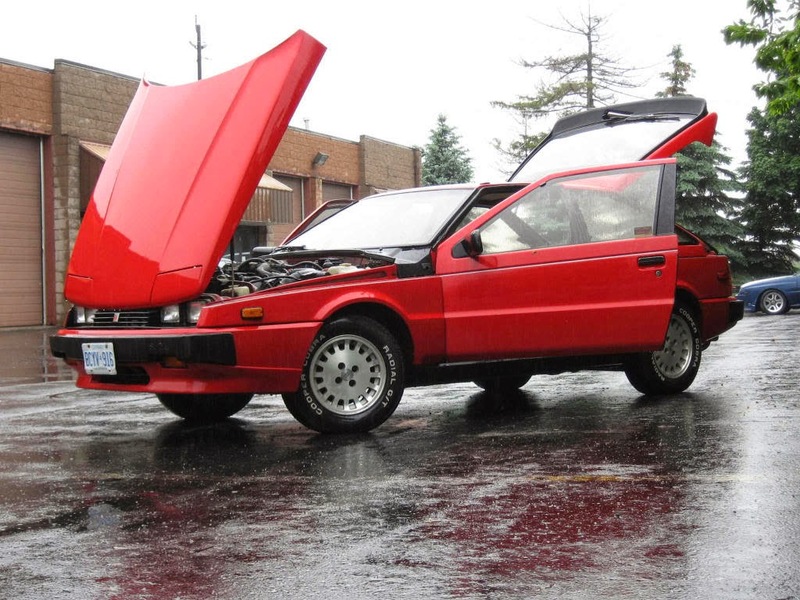 Today, the local craigslists across America are loaded with 300ZXs of various condition, but you can pickup a non-turbo low-mile survivor for almost nothing. 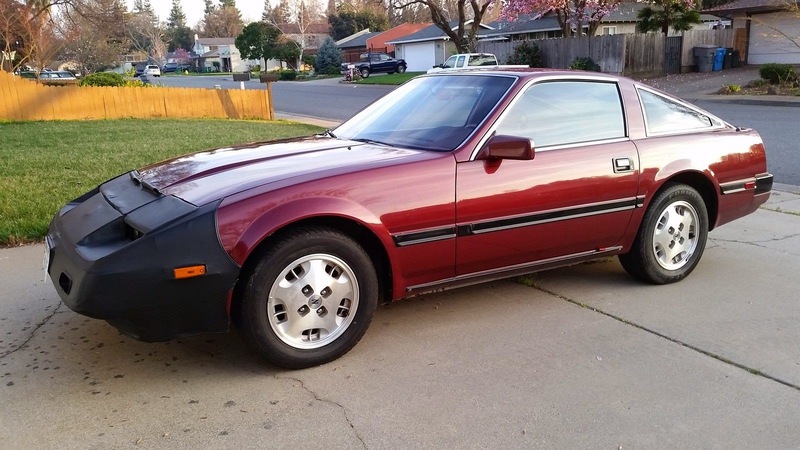 Find this 1984 Nissan 300ZX here on eBay bidding for $2,565 with 2 days to go, located in Chico, CA.